A Quest in Determining If There is a Need to Change the Strategy in Managing Fasciotomy Incisions in the Lower Leg According to National Center for Health Statistics in the United States, there are 492,000 tibial fractures per year accounting to 70,000 hospitalizations, 800,000 private clinic check-ups, and 500,000 hospitalization days. The common causes of tibial fractures include motor vehicular accidents, sports injuries, and falls. Fractures are usually managed with either casts or splints. While these methods promote healing and realignment, the pressure that accrues inside the muscles of the leg can result in a complication called compartment syndrome. Signs and symptoms of compartment syndrome include pallor, pulselessness, paraesthesia, pain, and in some cases, paralysis. The doctor will try to cut a small portion of the cast to release the pressure. This procedure is called windowing. If it is not effective, the next step is called bivalving, where the cast is divided into two. 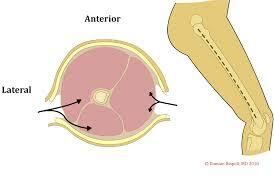 However, in severe cases of compartment syndrome, a surgery called fasciotomy is needed to be performed. Now, after fasciotomy, the wounds are currently managed through bringing patients back to operating room for a series of debridements. 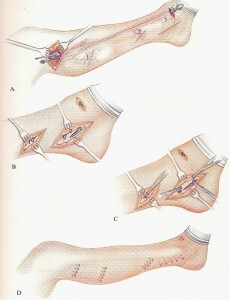 This is to facilitate delayed primary closure (DPC) of fasciotomy wounds. However, a team of researchers led by Dr. Michael J. Weaver questioned the effectivity and efficiency of this strategy. Consequently, a study entitled “Delayed Primary Closure of Fasciotomy Incisions in the Lower Leg: Do We Need to Change our Strategy?” was conducted. It was published in Journal of Orthopedic Trauma last December 22, 2014. The main objective of the study was to determine whether the current strategy of ‘bringing back patients to the operating room for successive debridements allow primary closure of fasciotomy wounds’. The main outcome measure of the study would be based on the ‘number of fasciotomy wounds closed by DPC after the initial fasciotomy procedure.’ The research design utilized was a retrospective cohort study of 104 adult patients from two urban level 1 trauma centers. These patients had acute compartment syndrome at the time they had either open or closed tibia fracture. Data needed for the study were derived from these patients’ medical records and radiograph results. 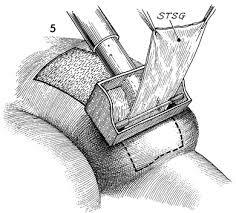 Participants included in the study had their fasciotomy wounds managed either through DPC or split thickness skin grafting (STSG), depending on individual conditions. Nineteen (19) out of 104 patients (18%) were treated with DPC while 42 patients (40%) underwent STSG. On the second debridement, three out of 43 remaining patients underwent DPC. Through examining these previous cases, researchers found out that no open fractures were documented to be closed by DPC. In terms of the number of hospitalization days, it was found out those patients who underwent STSG on their first debridement has significantly stayed shorter in the hospital compared to those who underwent additional procedures to manage their fasciotomy wounds. The result was a 12.2 days versus 17.4 days at 0.005 level of significance. In conclusion, the study recommends considering the option of providing skin grafting to these wounds especially on open fractures as it can significantly decrease the number of hospitalization days. On the other hand, DPC technique can rarely close fasciotomy wounds which weren’t possible to be close during the first post-fasciotomy surgical procedure. Lastly, the study recommends exploration of other techniques to utilize to avoid repeated debridement. If you have sustained an injury and wish to undergo an evaluation or obtain a second opinion, contact our specialists at Orthopedic Surgery San Diego.